This sweet little builtin dresser takes full advantage of an alcove in a child’s bedroom. 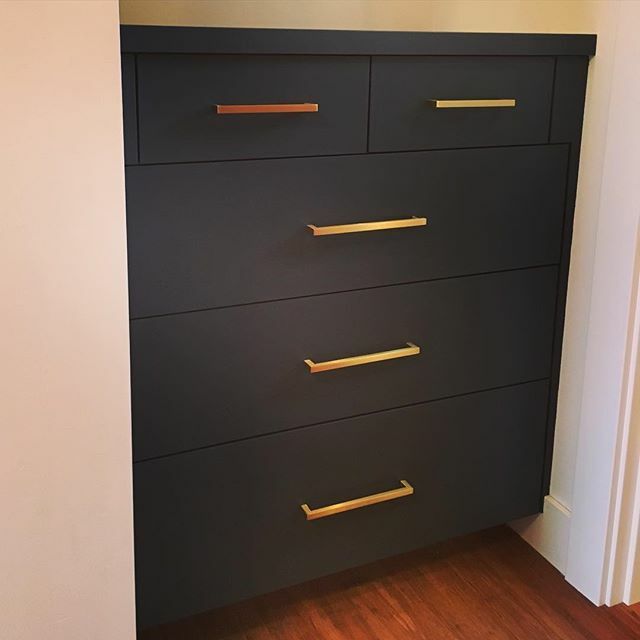 Simple and beautiful natural brass drawer pulls from schoolhouse really pop against the dark paint. Answer: Ha! Many times…notice the top 2 drawers are stepped in? That’s so they clear the door knob.